Sound the alarm and start the engine! 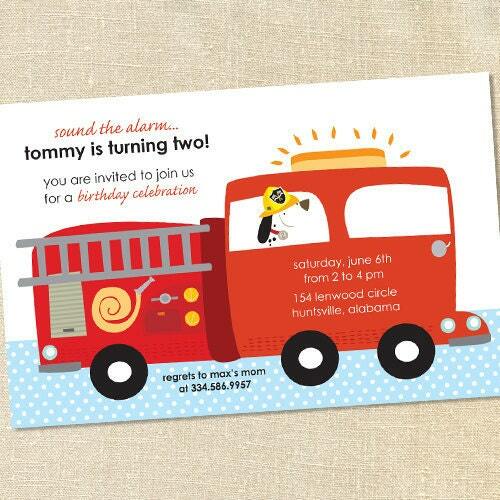 This red firetruck party invitation has firetruck and their dalmatian dog whizzing on by to the next fire! Spot's tag number is customizable to the child's age!